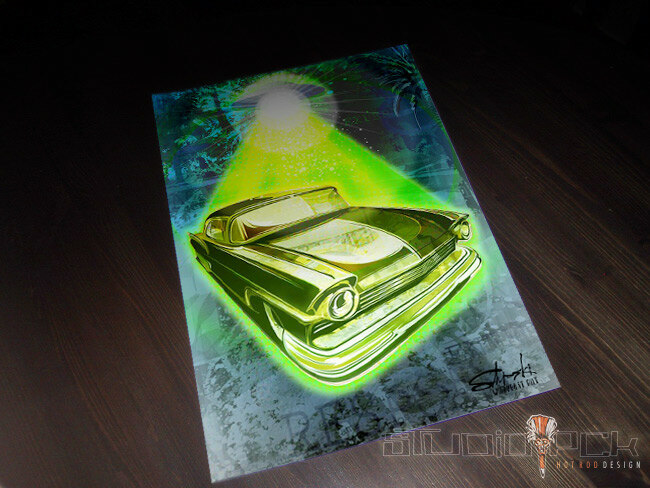 A hand-retouched print, featuring a scene depicting an alien encounter with a custom car and its hapless inhabitants. 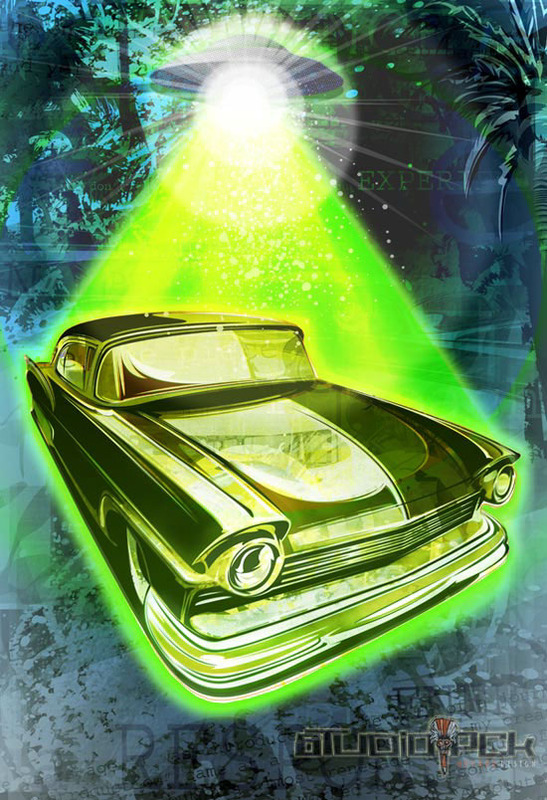 Set in the 1950's, this print was created to illustrate the nostalgic look at a car-obsessed alien culture collecting samples. An update to a print I created about a year ago... Re-cropped and printed, I took some Createx neon green and the airbrush to it, and, well... the results were eye-popping. So here we go again! A couple out for a cruise in a mild custom find their ride the object of desire for an interplanetary traveler Hell-bent on universal cruising coolness.